Checked out this surprising, well-directed slowburn last night that seems largely forgotten and was probably lost in the slasher landslide occurring at the time. Some hack n' slash tendencies are present but the consistent level of pacing and atmosphere here is usually unseen in the wave that came after Carpenter's Halloween. Definitely recommended however; don't come in expecting to see a body count or an emergence of an unheralded slasher icon. Just a good little potboiler that manages to avoid that distinct feeling of early '80s stuffiness. This Japanese VHS is fairly rare especially in this uncut condition (complete with top and bottom flaps). Slipboxes weren't as commonplace in Japan as elsewhere, like North America, and tended to always be scissored up by video stores to be uniform with the plastic clamshells on their shelves. 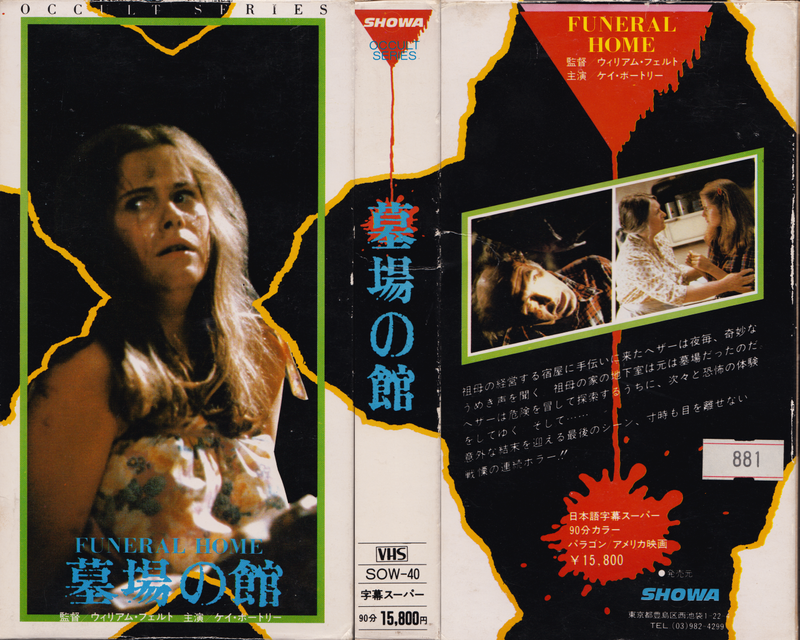 Six "Occult Series" titles were released by SHOWA including The Witching (1972), Boardinghouse (1982) and Scalps (1983). Pardon my brain but I can't recall the remaining two right now! I have forgotten all about this film! I remember loving it! This is definitely a slow burner, but it keeps you going. Great review.